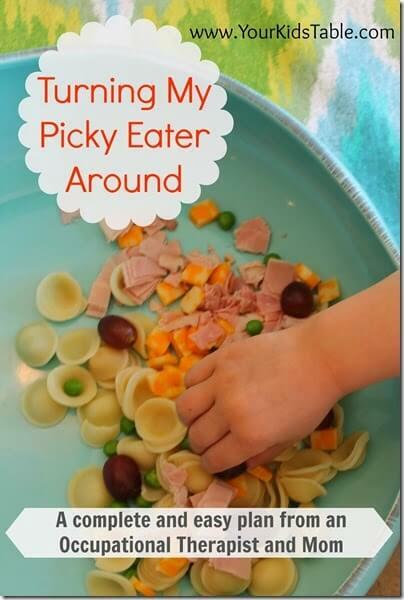 Makes some changes to help you child with this practical advice and tips to help a picky eater. If your child needs a little stretching at the dinner table see Tips for Turning Around a Picky Eater from an Occupational Therapist and Mom at Yourr Kids Table. A Day in the Life of Mom who Runs out of Diapers!